THOUGHTSKOTO Thoughtskoto : Is Everything OK Now Between Philippines and Kuwait Government? Is Everything OK Now Between Philippines and Kuwait Government? 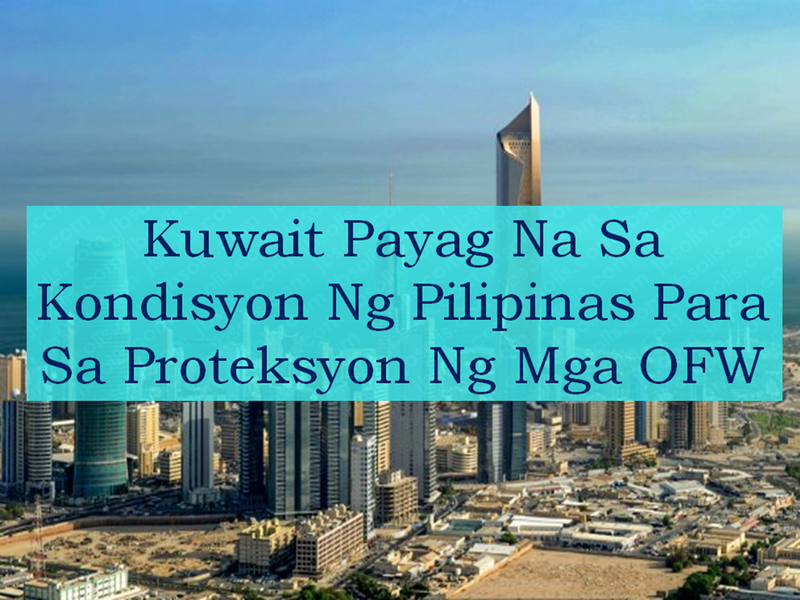 The Philippine government issued a total deployment ban for all overseas Filipino workers (OFW) bound to Kuwait in the midst of many cases of abuse and maltreatment among them particularly those who are deployed as household workers. Issues such as delayed or non-payment of salary, no day-off, witholding of passport, inhumane treatment some resulting to death. The move is in accordance with President Rodrigo Duterte's initiative to protect its citizens. Department of Labor and Employment Secretary Silvestre Bello III on Wednesday said that the Kuwaiti government agreed with the conditions presented by the Philippine government which seek to protect the safety and welfare of the OFWs working in their country. A memorandum of understanding (MOU) is now set to be signed between the two countries. —The employers has no right to confiscate or keep their employees mobile phone. —The employees must keep their passport with them. The employers has no right to keep it. —The employer cannot sell or transfer the employee to another employee. However, even the MOU takes effect and justice for Joanna Demafelis, the OFW who was found inside the freezer, be served, the deployment ban will only be lifted only to skilled workers. The MOU may also be imposed to other countries in the Middle east where there are huge numbers of OFWs to protect their rights and ensure their safety.